The LG Chocolate Touch updates the popular music phone with a multi-featured touch screen. Complete with an upgraded repertoire of music features, the latest phone in the LG Chocolate series is equipped with Dolby Mobile for a dramatically richer listening experience. The Join-The-Band feature should thrill music lovers with endless possibilities. An affordable music device, the Nokia 5800 XpressMusic has a touch screen interface and built-in surround sound stereo speakers. The Nokia music phone offers essentials including a graphic equalizer, 8GB memory for up to 6000 tracks for multiple digital music formats and a 3.5mm jack. Other features include the one-touch Media Bar for a direct link to the Web and to online sharing, and the Contacts Bar, which lets you track a digital history of recent text messages, emails, phone logs, photos and blog updates. 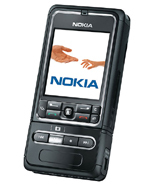 The Nokia 5800 XpressMusic sports a variety of input methods including a virtual alphanumeric keypad, a virtual QWERTY keyboard and a pen stylus; diehard music enthusiasts can even use a guitar pick. Packed with a 4GB hard drive, 3.5 mm stereo headset jack, wireless LAN support, dedicated music keys, and easy PC synchronization via Windows Media Player, the highly acclaimed Nokia N91 is still rocking. Life is better with LG, thanks to the fusion of fun and music on an all-in-one mobile phone dubbed FUSIC. According to LG, FUSIC (LX550) is the first mobile phone in the U.S. with an FM transmitter for listening to music through a radio or car stereo. The Samsung SCH-A950 has a play key on the front to activate the phone's MP3 music player. The physical design of the a950 keeps it in line with a traditional sleek Samsung flip phone. The number of songs you can store is limited only by the size of your TransFlash memory card in the a950’s expandable memory slot. The a950’s jog dial lets you navigate your playlists, and keys on the phone’s exterior allow you to stop, start and skip arouund. 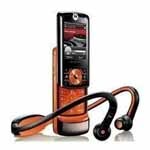 With the Motorola ROKR, the world's first mobile phone with iTunes, music lovers can transfer up to 100 of their favorite songs from the iTunes jukebox on their Mac or PC to their mobile phone. The Sony Ericsson Walkman phone W800 is the first Walkman-branded phone for North America. The Sony music phone comes preloaded with the final Walkman phones 100 global soundtrack of songs - the top 100 songs of all-time selected in a global survey. The 3250 is a uniquely designed Nokia music phone; it twists to transform a traditional phone keypad into dedicated music keys. The Nokia 3250 stores up to 1 Gigabyte (750 songs) of high quality music and offers 10 hours of music play. The music player of the Nokia 3250 supports a wide array of digital music formats such as MP3, WMA, M4A and AAC. The two-megapixel camera is activated by twisting the phone's keypad. Powered by S60 3rd Edition software and Symbian OS, the Nokia 3250 offers a dynamic mobile music experience bridging smartphone capabilities with music on the go. The phone has a talktime of up to 3 hours.